PD-Trak provides a range of tools to support different aspects of new product development. These downloadable tools are Microsoft Excel® based. The tools include three elements: 1) instructions that describe the methodology and how to use the tools, 2) an example of the tool that has been completed, and 3) a template for the tool. These tools include the following. 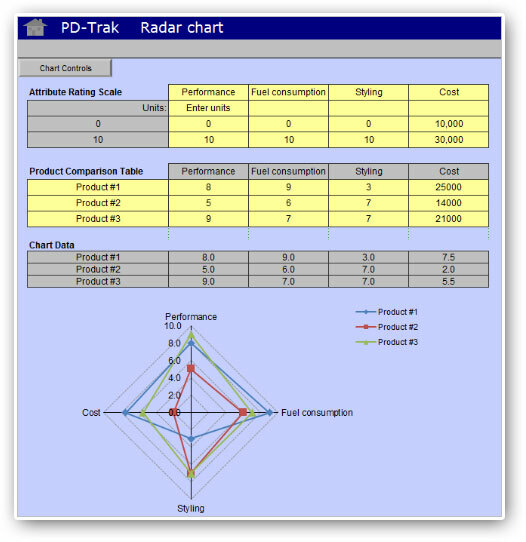 The Radar Chart is a graphical tool for comparing the key attributes of a new product to competitive products or solutions. Quality function deployment (QFD) is a structured planning and decision-making methodology for capturing customer needs (voice of the customer) and translating those needs into product requirements or technical characteristics, part characteristics, process plans and quality plans. 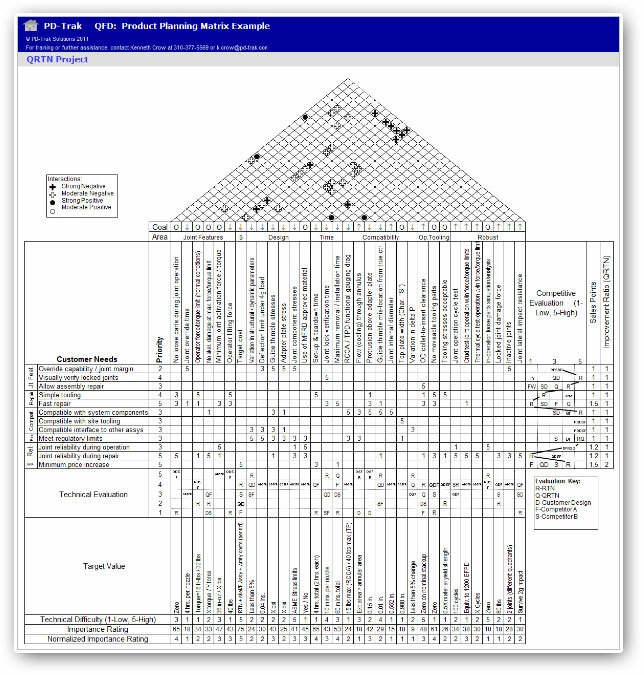 PD-Trak provides a series of planning matrices to document the information and plans developed during this process. 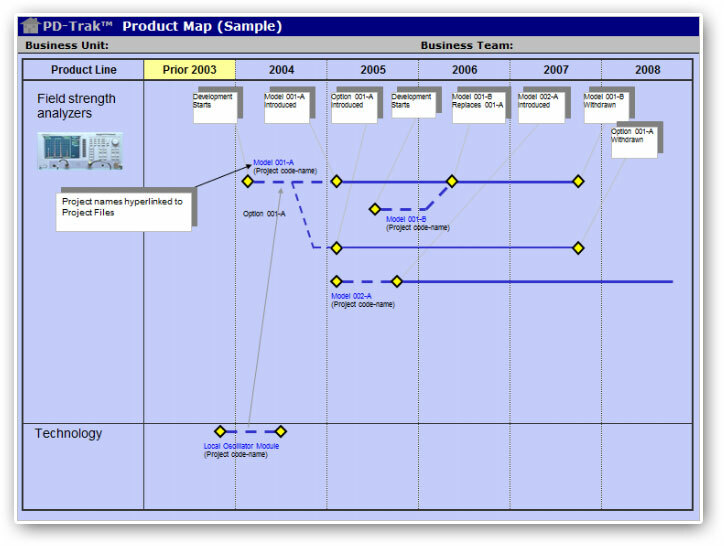 These include a Product Planning Matrix (house of quality), Concept Selection Matrix, Deployment Matrix, and Process Planning Matrix. 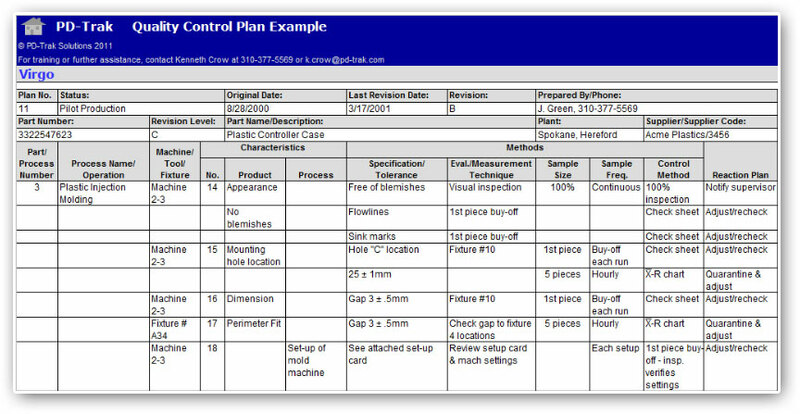 Note that the Control Plan serves as the planning matrix for process and quality control. Target costing establishes a market-driven target price to be successful and derives a target cost to drive product development. 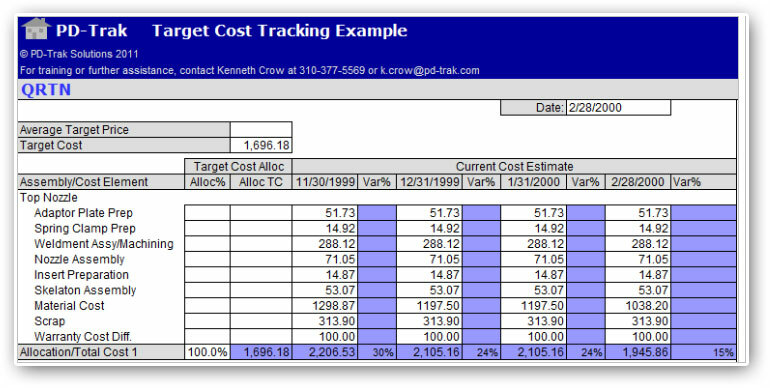 Our tools include a Target Cost Calculation Worksheet, a Target Cost Evaluation Worksheet, and a Target Cost Tracking Worksheet and Charts. Despite having ERP and Product Lifecycle Management (PLM) systems, engineers often use spreadsheets to create parts lists early in the development cycle before the design is brought under more formal configuration control. 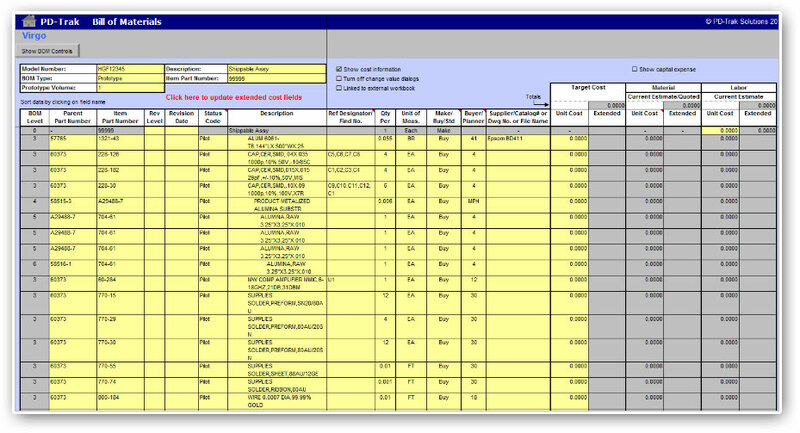 PD-Trak provides a flexible BOM tool to capture parts and assemblies and related information. 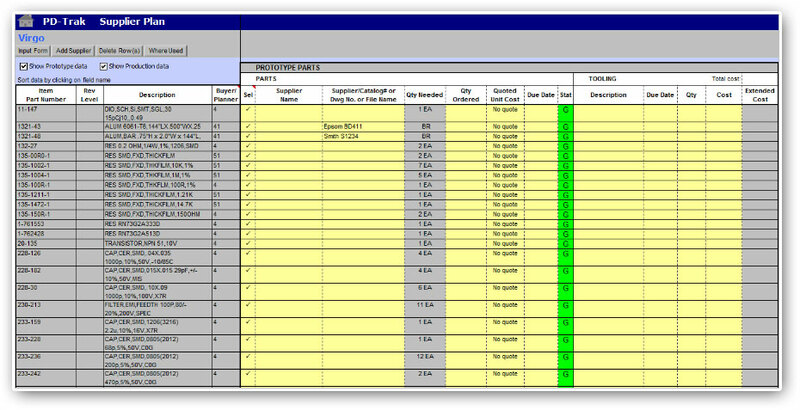 By identifying new buy items in the BOM, the supplier plan can identify potential suppliers, track quotes and sourcing for both prototype parts and production parts, identify required tooling and ownership, and identify supplier risks. 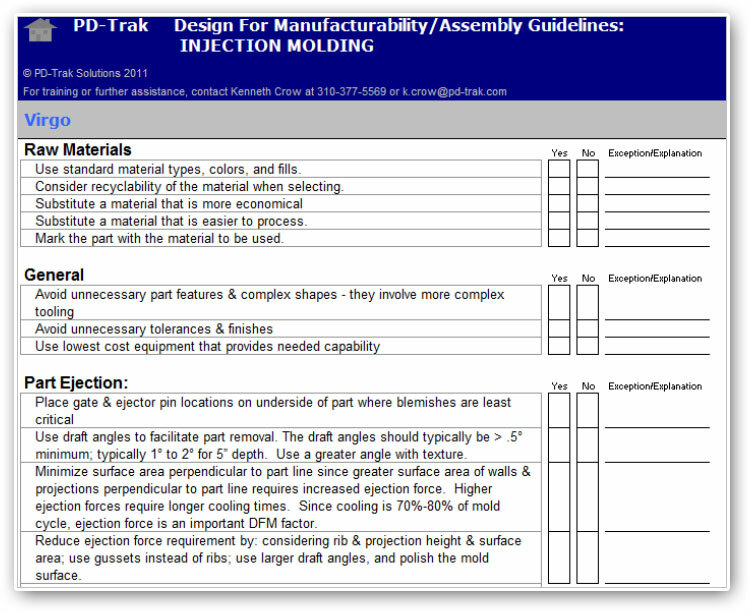 Design for Manufacturability/Assembly Checklist/Guidelines are included to aid designers develop producible designs. These checklists/guidelines can be adapted to the company’s specific product and process requirements. The checklists/guidelines cover assembly, printed circuits, machining, sheet metal, and injection molding. Design for Manufacturability/Assembly (DFM/A) refers to the principles of designing products so that they are more manufacturable. 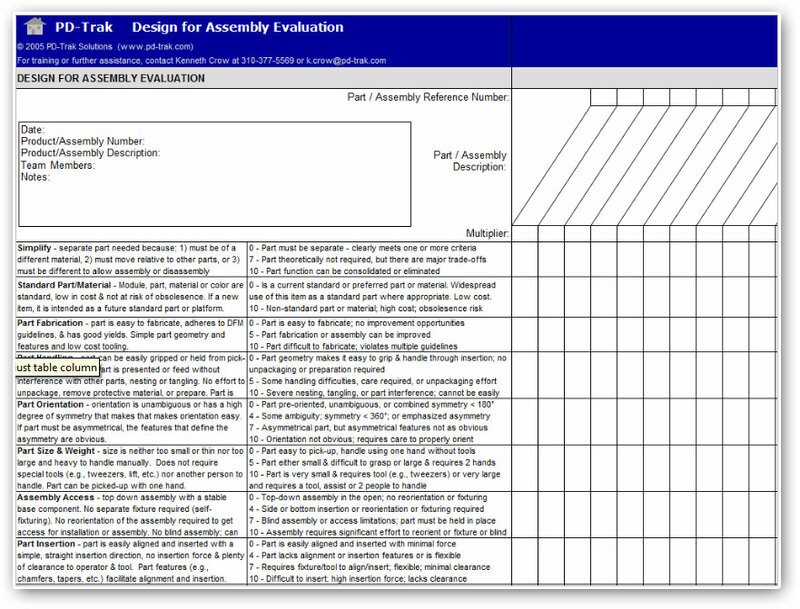 The DFM/A Assessment Worksheet provides a simple to use assessment methodology to evaluate concepts and designs early in the development process before sufficient information may be available to use more formal DFM/A analysis software or companies that don’t want to make a more significant investment in DFM/A software. Failure Modes and Effects Analysis (FMEA) is a methodology for analyzing potential product and process reliability problems early in the development cycle where it is easier to take actions to overcome these issues, thereby enhancing reliability through design. 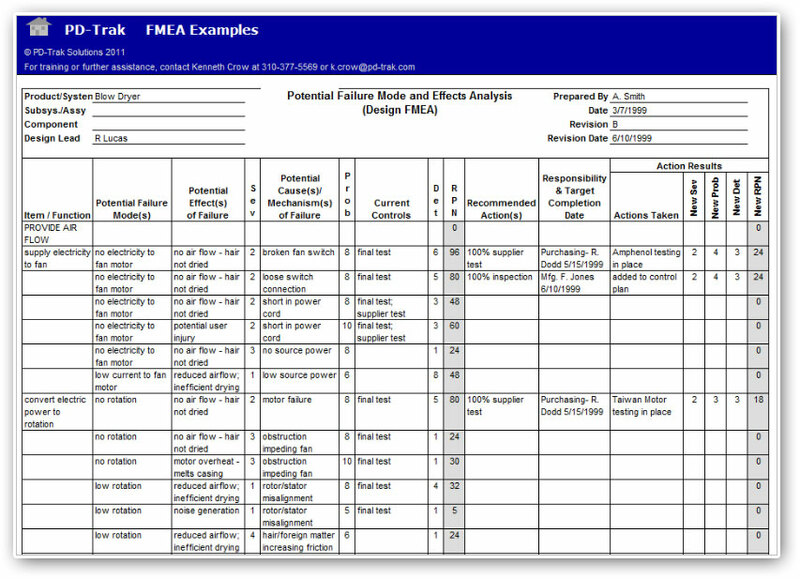 The FMEA Worksheet is used to identify potential failure modes, determine their effect on the operation of the product or process, and identify actions to mitigate the failures. Control Plans aid in the manufacture of quality products to meet customer requirements. The Control Plan provide a written description of the process and quality controls to assure an acceptable product and to minimize product and process variation.